Are big league investment firms getting the best of your time, money, and energy? Get to know the latest investment method of today. Using investment apps is making financial management easy. Computerized investing may be an entirely new concept to you, so utilizing an investment app could be against your better judgement, but the simplicity provided by these revolutionary devices could make the entire experience worth the venture. Convenient investing apps put decision-making power back in the hands of the investor. At any time, changes can be made to the direction of an account without making hassling phone calls or bargaining with financial managers. Use clickable on-screen mechanisms to bypass the “big guys” and get direct results you want. The world of investing apps can be difficult to navigate, so to point you in the right direction, here are breakdowns of three best investment apps on the market, featured by The New York Times, USA Today and other popular news. Although it’s goal is to attract big time investors, the Wealthfront service only requires a $500 account minimum. Accounts investing up to $10,000 are managed completely free. With an average positive return of 4.6%, even a $100,000 account can be managed at a price below $20. The original Wealthfront advisory fee is 0.25%, but getting friends to join can reduce those fees even lower. Wealthfront services are operated by a team of top financial developers who actively monitor and assist decisions of an automated investment software, and just like the team works hard to ensure the quality of the software function, the software itself works non-stop to analyze and rearrange investment options. Each account receives advice regarding the individual investment plan set up in the beginning that can be changed at any time. Other services of the app include Tax-Loss Harvesting, Repeat Deposits and Dividend Reinvesting. Offering custom, globally-diverse portfolios, Betterment blends stock and bonds into personal account options. Users are allowed to open Roth IRA, traditional IRA, trust managements and participate in regular investment regimens. There are no trading or transaction fees, and Betterment offers potential investors a 30-day free trial of complete financial management services to initiate the relationship. Account management fees start at 0.35%, but with greater worth an account can reduce the management fee to 0.25% and even 0.15%. 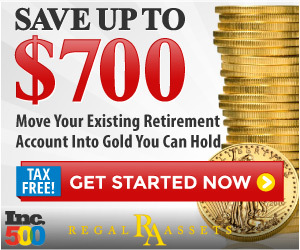 Accounts holding up to $10,000 have a $100 monthly minimum deposit. Costs of $10,00 to $100,000 accounts is 0.25% per month, and a $100,000 account costs only $13 per month to maintain. Typical returns are expected around 4.3%. Outside investment accounts can be synced with the Betterment app to view all networth in one place. Plus, syncing all of your accounts will improve the personalized financial counseling. Additional features include Tax-Efficient Rebalancing, Automatic Dividend Reinvestment and Automatic Deposit. This app primarily serves minimum investors who just want to flip some spare change. This app automatically diversifies funds into over 3,500 different stocks and bonds to optimize returns. At any time, withdraws and deposits can be made without any penalty fees, but deposits have a $5 minimum. Individually optimized smart financial portfolios are created by experts on the Acorns team to guide your everyday decisions. Account advisory fee starts at $1 per month on accounts holding under $5,000 and 0.25% on accounts worth more than that. Students with .edu email accounts can receive free services. Monitoring real-time updates is made possible with smartwatch compatibility. Unauthorized Access Monitoring notifies you of possible undesired activity. Each app provides a unique experience. Wealthfront supports casual investments with a conversational interface that allows people to engage with the advice features. Betterment has established a focus on formal, refined and experienced investors by providing outside account syncing services. Acorns has a simpler interface aimed at young investors who are just entering the financial investment field. Each major type of investor should be able find a suitable place to start the virtual investment experience with this review of best investment apps, but do not let the typical user profiles identify which app you choose! Check each of them out, and start investing how you want.